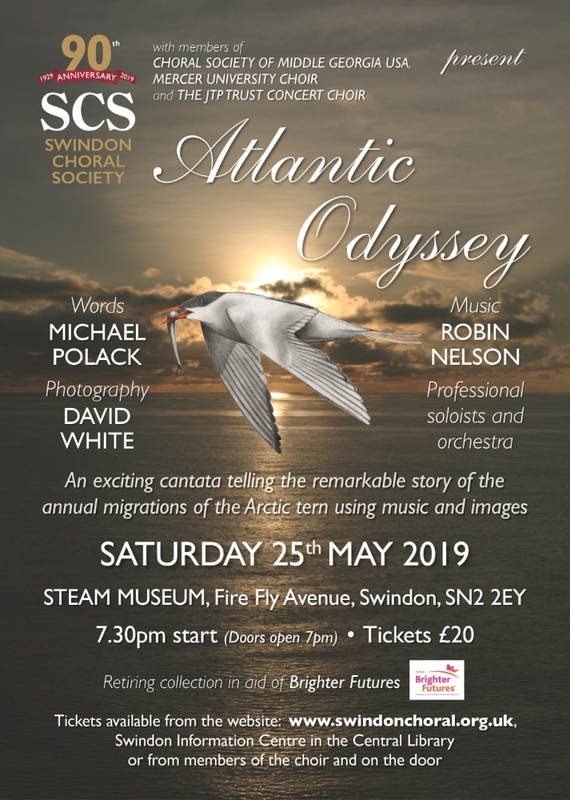 We are a society of about one hundred and ten amateur singers who stage, on average, four choral concerts in and around Swindon each year, and in our 90 year history have performed most of the major choral repertoire, as well as a number of specially-commissioned works. In this our 90th year, we are delighted to be staging this splendid work again on the 25th May in Swindon's Steam Museum, reinforced by Swindon's JTPTrust Concert Choir and the Choral Society of Middle Georgia, based in Macon, GA USA. We very much look forward to welcoming our American cousins for this exciting event. The Macon choir has joined us before, singing Britten's War Requiem in October 1995. The March 2018 concert in Marlborough College Chapel was a rare chance to tackle JS Bach's glorious St Matthew Passion. Combining with Bracknell Choral Society and their conductor Greg Hallam who also conducted the final performance, we thrilled to the sound of the six professional soloists accompanied by the double orchestra Musica Poetica, as well as singing many of the chorales unaccompanied. The double choir Thundered and Lightninged with gusto and demanded the release of Barabbas with an appropriate crescendo of sound. The undoubted highlight, however, was the heart-stopping bass/cor anglais aria Make me clean. With the chorus taking up fully one third of the Chapel seating, the other two thirds were sold out to a packed audience. This was one that none of us will ever forget. 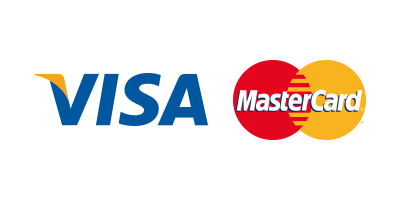 Like all amateur organisations, we work hard at fundraising and our efforts will be boosted when you use our EasyFundraising link for your online shopping. A very big Thank You to all who do so! Past performances include the Passions of Bach, Requiems from Mozart to Rutter by way of Howard Goodall's Eternal Light, Britten's War Requiem, and many familiar oratorios, notably, A Child Of Our Time and The Dream of Gerontius, and most recently the first half of The Christmas Oratorio. 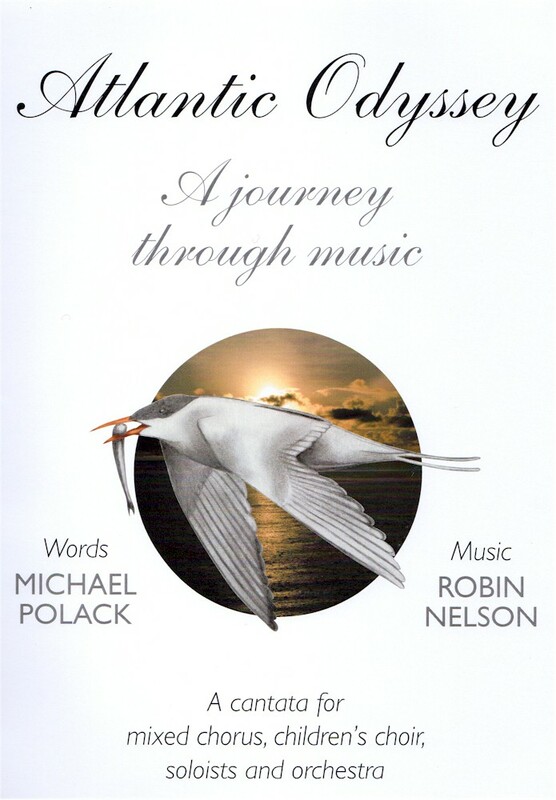 The Armed Man, by Karl Jenkins has also featured. For a complete list of our concerts, please visit our Concerts pages. We enjoy performing with professional orchestras and soloists. 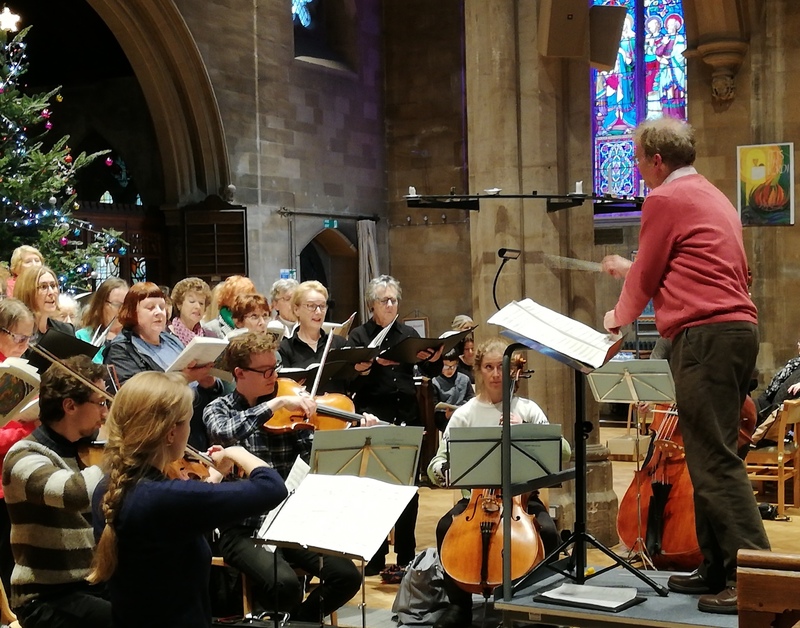 We have worked with The London Mozart Players (under Jane Glover), the Bournemouth Sinfonietta, the West Forest Sinfonia, the Chameleon Arts Orchestra and, very recently, the Reading Symphony Orchestra. 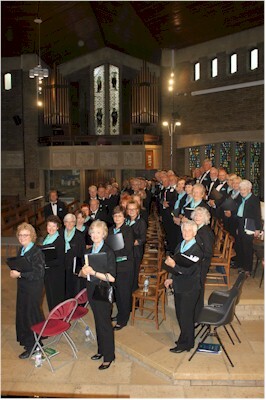 The Society also incorporates the Swindon Chorale, an increasingly active and dedicated group providing sacred and secular music by request for weddings, funerals, fund-raising concerts for ourselves and others, together with other events.